We hate surrendering, yet we surrender ourselves to something every single day. Nearly everything else we give ourselves to will consume more than it gives back; it does not have our best interests in mind; it drains us. While surrendering to God is so difficult in the beginning, we end up sacrificing what we never needed anyway: the anger, unforgiveness, pride, ego, lust. It is no fool who surrenders what he cannot keep to gain what he cannot lose. so many people claim to “surrender” to God after they feel as though they have reached the epitome of their relationship with Him, but in all truth, we never give Him all we have or we would be much better humans. I just found your blog and look forward to going through some of the past posts. 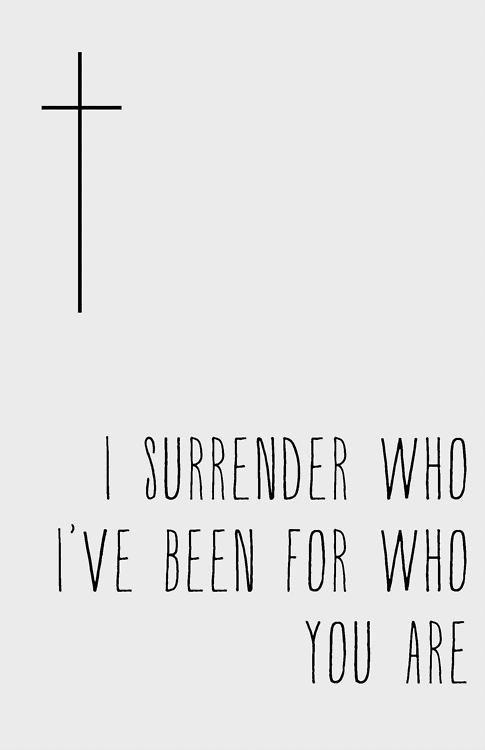 I have been struggling with surrender for years and just recently finally began to obey (even though I had quit my job years ago to begin training for ministry). I recently posted a blog post regarding my past hidden homosexual life and I have been amazed by the blessings form God when I finally just surrendered to Him. I look forward to eventually grabbing your book on taboo topics as it sounds like it probably contains a section on the very area I struggled with for years. I felt I couldn’t share my full testimony because of the taboo nature of the subject. Hey J.W.! Thank you so much for your honesty here. I know the church culture might eat you alive on every side, but I hope you continue to be outspoken and gracious in your testimony. And indeed, the book does contain a few sections on that.